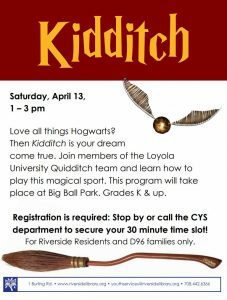 Kidditch – Tomorrow Saturday, April 13th 1-3 PM – There’s Still Time to Sign Up! Ready for some Kiddich?!! Sign up at the Riverside Library! 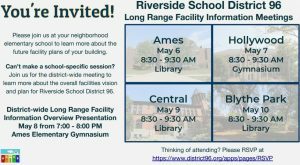 Note that the 1 pm slot on Saturday April 13th is reserved for Ames students. Every participant needs to have a signed release form in order to play. Click on this kidditch Flyer link for more information on how to sign up.